For thousands of years, indigenous peoples have practiced ways of accessing non-ordinary states of consciousness, or NSCs [Stan Grof's holotropic realm] for the purpose of obtaining guidance and information not readily available in ordinary states. In the West, we have generally acknowledged, and perhaps overemphasized the value and reality of ordinary consciousness alone. As breathworkers, we feel that balance and wholeness is achieved through the integration of both realities. Methods used to enter NSCs have included, but are not limited to: trance, meditation, drumming, various forms of breath alteration, induction, and the practice of austerities [i.e. fasting, sensory deprivation, sleep deprivation]. Maitri Breathwork has been greatly influenced by Drs. Gay and Kathlyn Hendricks and Drs. Stanislav and Christina Grof. Their models [Radiance and Holotropic] are based on a philosophy that individuals have both the capacity and the responsibility for their own healing and personal evolution, and that each of us can connect with an Inner Healer that will guide us in this process. As we participate in our personal healing, we also access and contribute to the healing of the Collective, as well as the emotional body of our sacred Mother Earth. All of our experience is recorded in the body on a cellular level. The gateway into this "memory" is through the Unconscious, which is easily accessed through the breath. Our history is imprinted in our bodies, and these imprints effect our patterns of behavior and our experience of life. One of the things that appears to happen with accelerated, deep, full breathing is that it creates a biochemical situation in the body that allows old emotional and physical tensions associated with unresolved psychological and physical experience to surface and become manifest. Breathwork assists us in bypassing the intellect [which is somewhat overemphasized in Western culture], thereby allowing Psyche to breathe into the creative realms of unconscious material. The Ego, in collusion with consensus reality, regulates how much we will let ourselves feel and express. Dr. Hendriks writes, "When we expand beyond what is familiar and predictable, sometimes we hit an upper limit and we sabotage our progress." As we journey toward wholeness, we discover and then expand past the boundaries of our self-limiting beliefs, retrieving lost parts of ourselves; we begin to re-pattern our lives. Through this work, one is able to 1] complete energy cycles and 2] heal "stuck", or unresolved experiences, thereby liberating oneself from the constricting effects of such material. For example, physical or psychological trauma causes us to hold our breath and tense our muscles, which in turn causes us to disassociate from our body, needs and truths. We travel away from our core essence, our authentic Self. When we respond to trauma in this way, our experience is cut short of fullness and completion and we hold the fragments in our bodies. These "unexperienced experiences" create patterns of behavior that cause us to suffer, or to diminish our aliveness, in one way or another. In breathwork, an authentic, honest response, complete with sound, words, feelings, movement and/or insight is fully encouraged. In this way, we are liberated from unconscious constraints by "moving through" the experience, in a safe environment, rather than avoiding it. The benefits of breathwork are directly related to your commitment to experience and work with whatever material arises. Your facilitators use non-forceful ways of supporting your journey and you regulate the depth and pace with your breath. It is common for a new breather to feel concern that if they let go fully, they may "go crazy", hurt someone, die, never comeback, or never stop crying. The truth is that the psyche never offers more than the breather can work with in the NSC associated with breathwork. Spirit illuminates the path and when we allow ourselves to open, though we may be challenged by the opportunity, we are guaranteed a full and rich experience. In partnership with the body's natural wisdom, Psyche's inherent tendency is to move toward wholeness and healing; it does not attack, trick, or manipulate! Through the breath, we are able to access several "bands" of consciousness, including the perinatal [birth-oriented], the biographical, and the transpersonal. Even under ideal conditions, the ordeal of birth is traumatic and trauma associated with each phase of the process tends to manifest in patterns of behavior. For example, Cesarean and breech births, or use of anesthesia during delivery, give rise to certain characteristics that manifest in adult life. Or the fact that a child was "unwanted" originally may manifest in an adult as an ambivalence about life in the form of exhaustion or mistrust. It is not uncommon for a new breather to be concerned that their material or emotional release will shock, scare or hurt the facilitators or other participants. Please know that your facilitators have worked with hundreds of breathers and are prepared to safely accommodate any experience that might arise within your healing process. They are committed to your journey; it is the work they love and cherish. They are in service to you, so please take advantage of this opportunity by not shying away from your trust or experience. Your facilitators will provide structure, and agreements will be made that support affective communication and safety. They hold deep respect for participants' defense mechanisms, as well as their life-affirming, healing processes. The primary role of the facilitator is to support and nurture the breather as they do their inner work, and to serve as compassionate witness for both contractions and expansions. The Hendriks write of the analogy of turning on an old faucet: at first the water is rusty and even though it would soon clear, we often see the initial dirty water and turn off the faucet! When we choose to let the water flow, its' clarity promises the sweetness of self-love and a deepening compassion for others. Offering two and one session breath works on the west side of Cleveland. Soon to offer small private group sessions for 2 or 3 people. Individual sessions are not offered at this time. Pre-registration with a non-refundable deposit of $100 is required to reserve your spot. Feel free to call if you have any questions Karen 216-544-4840 or Moira 773.213.9398. Facilitators: Moira Scullion and Karen Kazsmer graduated in February 2014 from the Maitri Breathwork™ Facilitator Certification Program through the Center for Sacred Studies in California. (Space is Limited - Registration will be capped at 10 participants, so please register early! 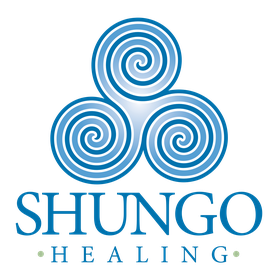 Registration: Email Moira Scullion at moira@shungobodywork.com or call 773.213.9398. Facilitators: Moira Scullion is deeply honored and humbled to hold this profound work to her home town. She graduated in February 2014 from the Maitri Breathwork™ Facilitator Certification Program with the Center for Sacred Studies in California. A portion of the proceeds from this Breathwork will be donated to the Center for Sacred Studies, a 501(c)(3).